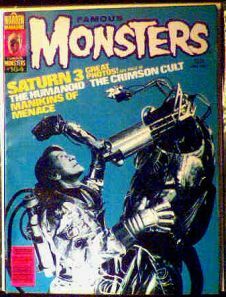 June 1980 issue of FM with cover article on Saturn 3. Near-mint condition. Saturn 3 starred Kirk Douglas and Farrah Fawcett in a May-December relationship. An okay film but not great. Website design and hosting by Sohodojo Business Services. Item 140 of 466 items displayed in viewer. 0 items in cart.